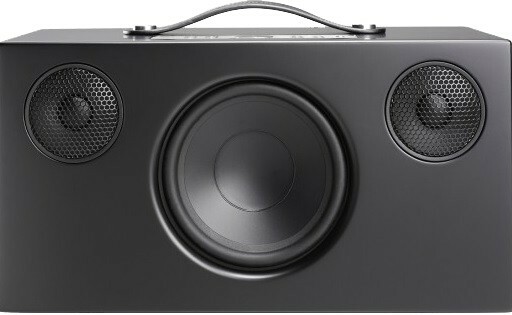 Big brother to the C3 and C5, this award winning wireless speaker includes Bluetooth and multi-room functionality with other Audio Pro models. Available in three contemporary colours. 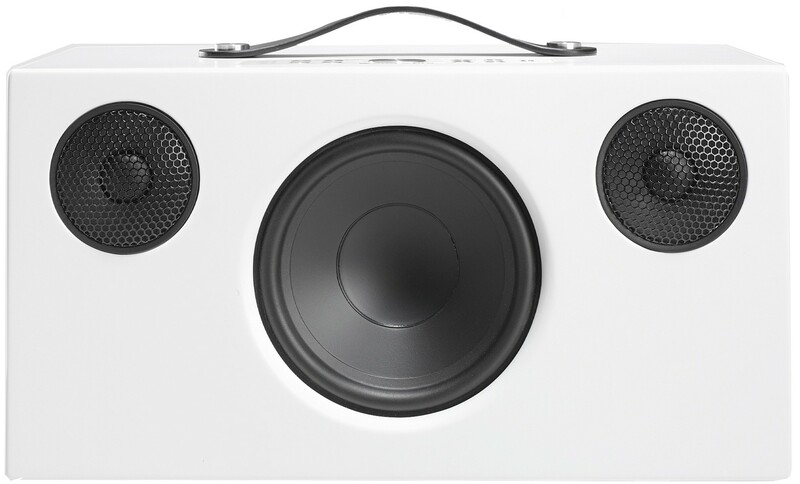 Audio Pro C10 Wireless Multi Room Speaker typifies the Scandanavian brand's eye for aesthetically modern, high-calibre designs. 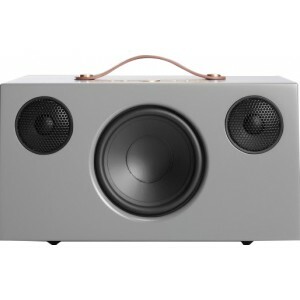 This wireless multi-room speaker liberates your home hi-fi system, allowing you to play and stream music wirelessly from your favourite vinyl to the newest track on an internet streaming service. Crafted from a beguiling combination of leather and alumunium, the model is sturdily structured, making it a bigger than its fellow C5 wireless model. The C10 is available in three monochrome shades, making it a sleek addition to any room. Combine it with the C5 and Link 1 for a full wirelessly streamed hi-fi set up. 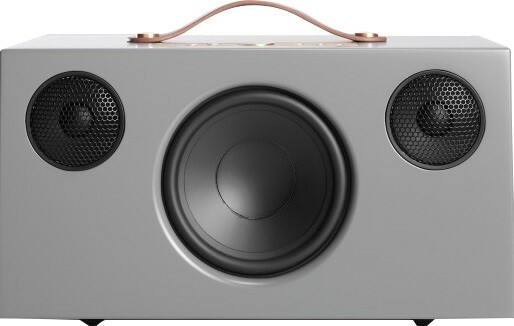 If you are still in love with your vinyl collection or are a CD fan, you can connect your CD player or turntable to a C10 speaker and play it wirelessly to all the speakers in your system. Alongside this, you can play any music you like thanks to Airplay, Spotify Connect and Bluetooth. Addon wireless speakers use the latest Bluetooth 4.0 standard for premium sound quality and transmission so you can enjoy a stellar performance. 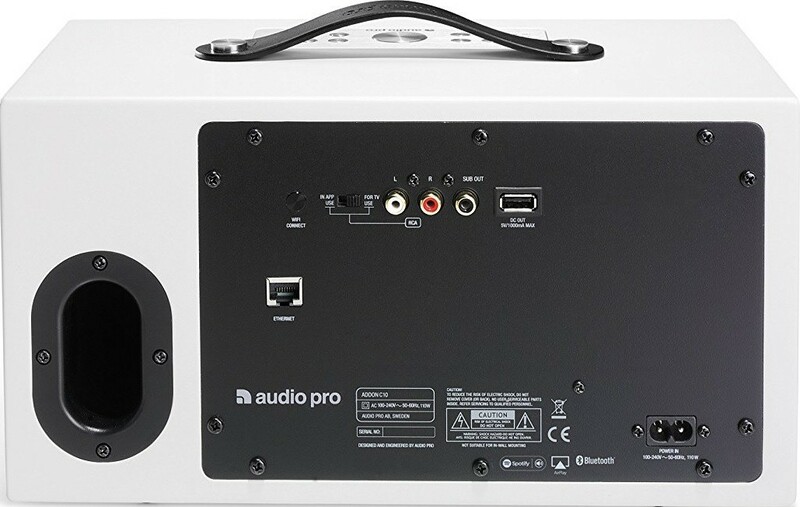 Audio Pro C10 is for you if you have a speaker in every room and want to listen to one or all simultaneously. You can play from a computer or NAS in your network, internet streaming services or your mobile. This flexible and compact C10 model is all controlled by Audio Pro's App Of Simplicity. Each person in the house can play their tunes on whichever speaker they so choose, so no more arguing over the music choice. All you need to do to get started is simply pick up your phone, push and play. You can even save your favourite playlist or radio station to the C10 device at the press of a button, making this a super-easy model to operate.